HomeBlog ClassicConnecticut Insurance AgencyHow Can Tracy-Driscoll Help You? 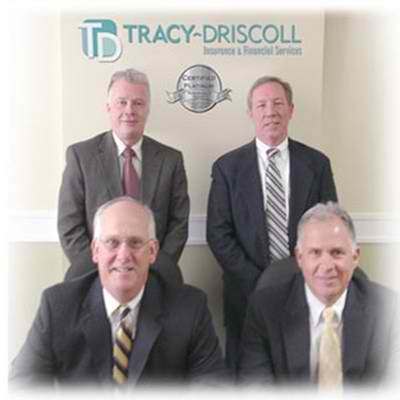 Tracy-Driscoll & Co., Inc. is an independent insurance firm with caring, energetic and dependable people and professionals. Tracy-Driscoll’s philosophy of service is uniquely dedicated to our policyholder’s needs. Our commitment is to the highest standards of excellence in all that we do, established on the firm basis of trust well-earned, individual and personalized service. We can handle all aspects of your insurance needs from homeowners and personal auto, small business coverage and professional liability, to life insurance and a health insurance program. Also, we offer specialized programs for Day Care providers, Auto Dealerships and Auto Body Shops, Antique Auto owners and more. As an independent agency, our main concern and duty is to represent our clients. When you experience a loss, we will follow through to make certain that you receive prompt and fair payments of your claim. We only deal with the products offered by a select group of financially sound and reputable insurance providers. We always place your policy with the company offering the most appropriate coverage at the best available price. We strive to eliminate possible shortfalls in coverage and to reduce the cost of your insurance program. We’re here to help ensure you have the protection you need. If you have any questions, contact our licensed professionals for assistance at 860-589-3434.